Clarity~this is all about clarity. Unearth Your Desires. Live. Feel. Experience. Dorothy, the Scarecrow, the Tin Man and the Cowardly Lion, had everything they needed within themselves, they simply needed to journey through the process of discovery. The Wizard of Oz is an allegory for the journey of self-discovery. I facilitate the process of digging deep within so you can discover your inner guru. Thinking about how you want to feel is not something that happens naturally. Many of us go through life without thinking much about it. Clarity on how we want to feel is that starting place for creating the life we want. Life satisfaction comes when we have clarity on how we want to feel. Life happens in the little moments. When we aren't mindful about how we want to feel, we miss really important moments. Having clarity on how we want to feel is even more important than those big goals. Purpose then begins in an organic way when we are intentional about how we want to live. The everyday matters–the ordinary, and the extraordinary parts of life. It’s not all about the end goal, it’s about being present and enjoying every stage of life. This workshop is for you if: You are willing and ready to put some focused energy into yourself. You deserve it baby! If you are really honest with yourself, you will realize that life is often fuller than you may want it to be. When was the last time you stopped, and really just focussed on your non-negotiable needs? This is an opportunity to do some mindful self-care. To breathe deeply and look inwards to notice what your soul needs. We will do this in a supportive, safe environment. A life-shifting, energizing experience filled with discovery!! You are super interested in doing the workshop, but you'd rather do it at home with a group of good friends. Jenn will come and deliver a workshop with you and your besties. Think special occasions=birthdays, significant life changes, or even team-building within a workplace. It would be an honour to facilitate your group through this powerful process. I will work with you to create a space that fits your group just right. It's so important to tailor the experience for your tribe to have fun, discover, explore, laugh, and to fully be present. This one or two day workshop will be a time of meaningful connection. The process supports us to go deep. Investment: Packages start at $125 pp. Minimum of 6 individuals. Send me an email and we can start the planning process. 1:1 Coaching for Heart Centered Caregivers. You are someone who is always giving. You put your family first. You have a job serving others in the healthcare or wellness field. The thing is that some days you are barely holding it together. You put on your best face, but you feel that a little piece of you is shrivelling every day, because you aren't making your self-care a priority. It's time to stop and take care of you before you BURN OUT. It's time to challenge the lie that says, you need to put yourself last. The truth is that when we don't make our self-care a priority, we are doing absolutely everyone a disservice. Including the ones we love the most. We will spend time building on your capacity for self-compassion. Self-compassion is about being kind to yourself. In the same way you would be kind to those you love with your whole heart! It's about mindfulness–noticing when you are struggling and choosing to sit with it, instead of jumping into problem-solving. It's the reminder that you aren't alone. Struggle and suffering is part of the human experience. Jenn spent 20 years working in the non-profit sector serving marginalized people, while balancing a family. She learned the hard way through almost burning out, that self-care is of utmost importance. It is not selfish. It is non-negotiable and it really supports me to give the best I can to the people I love and care about. Learning that we have limits, clearing space for the sacred, and saying no to things that don't serve is is a huge step int the right direction. Jenn will spend two, 60 minute sessions with you for up to three months. 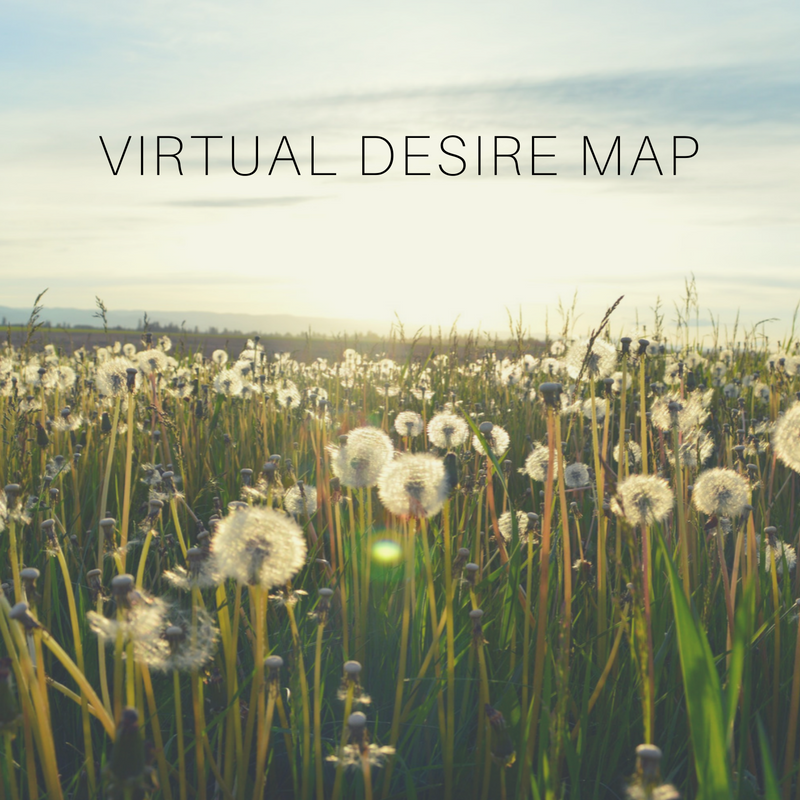 Send Jenn and email to set up your one:one coaching program~featuring the Desire Map. Jenn's Core Desired Feelings are: Joy, Fierce Grace, Aligned, Electric Connection, Golden and Abundance. To learn more about Jenn, click here.